SkillOnNet is one of the world's leading igaming software providers. Not only does it develop and release its own online slots, it also specialises in a full range of tables games and provides casino platforms for other developers. But with a fairly limited slots output, does SkillOnNet deserve more attention than their games selection suggests? Let's take a closer look at the developer for whom quality over quantity is the mantra. Within a few years, however, they'd grown to provide full turnkey casino solutions for operators. They now produce slots and a varied range of table games for around 12 casinos online, including Mega Casino. Backgammon still forms a large part of the developer's output, with BGroom enjoying SkillOnNet games. SkillOnNet's white-label software gives operators and casinos a full range of the developer's games all in one place. The software comes in multiple languages and full support is given. SkillOnNet also provides financial services to casinos in a number of currencies. Several high-profile partnerships have led to SkillOnNet growing its casino platform. In 2014, it formed a B2B deal with NetEnt to add the leading Scandinavian manufacturer's titles to its portfolio. SkillOnNet now hosts NetEnt's entire suite of games on its big sites. In 2015, SkillOnNet announced it was adding Merkur slots to its egaming platform. This should nump up what is currently a fairly limited slots selection. The same year, SkillOnNet launched Live Casino games from leading developer, Evolution, for its mobile platform. 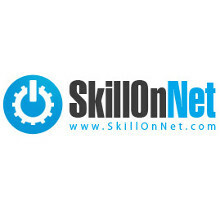 SkillOnNet has around 30 slots in its limited portfolio of games. Most games have bonus features attached. The developer's P2P platform provides casinos with a varied range of games simultaneously, including roulette, video poker, and Live Casino as well as the slots. You'll find most bespoke SkillOnNet slots exclusively at sites like EUCasino, such as Vampires Feast. Played with 20 paylines, the slot does its best to provide 3D graphics but has a chilling horror atmosphere. The multi-levelled bonus feature awards up to 20 free spins, double wins and bonus cash prizes. SkillOnNet currently offers two progressive jackpot slots to casinos - Millionaire Genie and Good & Evil. Good & Evil is a 10-payline slot played over five reels and has seen some regular 6-figure payouts since it launched. Millionaire Genie, meanwhile, is perhaps the developer's best-looking game, and is a classic-style slot with three reels and just three paylines (not to be confused with the Random Logic progressive of the same name). As well as slots, SkillOnNet develops online roulette games, including classic European, American and French variations. A solid Progressive Blackjack variant is also available in some top online casinos as are Jacks or Better, Joker Poker and Deuces Wild video poker variations. Rounded out the SkillOnNet range are games as diverse as Casino War, Baccarat, Casino Hold'em and Craps.